Merging fantasy with reality, enjoy a magical Christmas in a picture post card setting. Fir trees laden with crisp white snow, tireless husky dogs excitedly tugging at sleighs & snowmobiles speeding their way across icy tracks, all wait you as we push the boundaries of your imagination for your Christmas holiday of a lifetime. The Special Elves will be there to lead us in our search for Santa and the resilient reindeer will help to guide the way. Visit the land of dreams…and create a lifetime of precious memories. 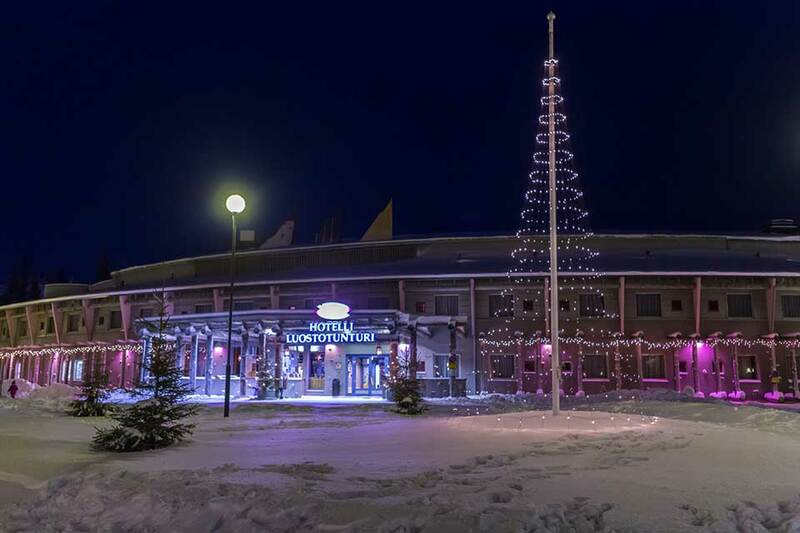 Following your arrival in Lapland, your personal tour guide will be waiting to greet you at Rovaniemi Airport, then, we transfer to the idyllic resort of Luosto – a small beautiful ski village, largely unspoilt by the modern world. 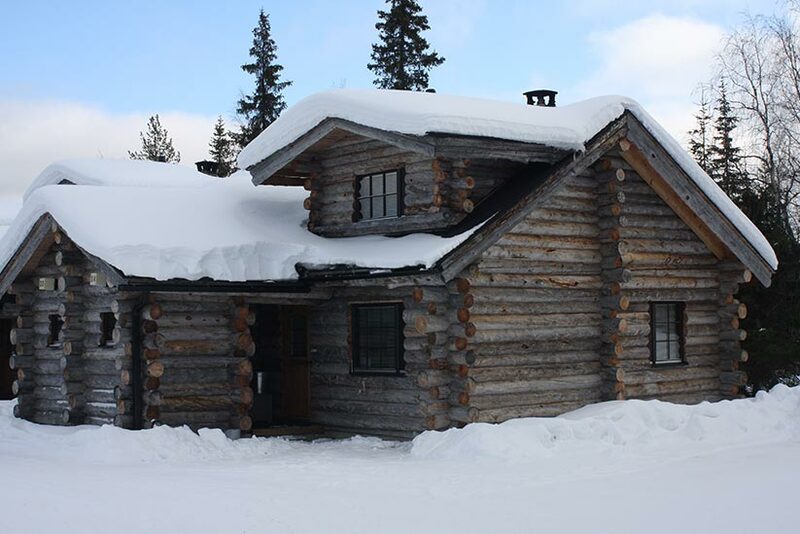 On arrival in resort you will receive your thermal snow suits and boots and settle into your choice of traditional log cabin, hotel room or luxury villa. While away the evening with some tobogganing or enjoy a drink in the bar prior to the welcome dinner. After breakfast this morning, your guide will be waiting for you to embark on your search for Santa. Have you remembered the actions to the Elf Song? Join in, as we make our way to a secret location where we may find Santa. Perhaps Tricky Dicky the joker wild will be there to meet us, will he provide any clues as to where Santa may be or will he play a trick on us? Perhaps the reindeer will know where Santa s as they pull the sleigh through the forest. We may see the Elves sorting the mail at the Magical Post Office today unless they are busy helping Santa with the dispatch of the thousands of presents in time for Christmas Day. Back in Luosto a Gala dinner awaits you. Oh joy of joy it’s Christmas Day! The long wait is over – Christmas day is here. Following breakfast, we will continue to search for Santa. Our furry friends and the snowmobiles will once again transport us until we discover the great man. Will Noisy Nod or Speedy Sam provide the final clue to Santa’s hideaway? Children will be mesmerised when they finally meet Father Christmas in the unique setting of his home, close to Luosto, and they will be thrilled to receive their special gift from him in person. Lunch will be provided at one of the outdoor locations. This evening enjoy a traditional Christmas spread along with festive treats such as mince pies. Enjoy a farewell dinner before it’s time to say goodbye to our magical winter wonderland. Boxing Day is traditionally a day of rest in Lapland, however today a coach transfer will be available to an activity location where some of our favourite Elves will be on hand to play games with the children. There will also be adult and children’s snowmobiles available together with husky and reindeer sleigh rides. Lunch will be served at location. Back in resort why not enjoy a sauna or relax with a drink at the Merry Elf. A buffet dinner will be available in Luosto; our final evening in this magical winter wonderland. Enjoy a hearty breakfast at the restaurant, before spending the morning enjoying the resort facilities if you’re feeling energetic, try some skiing or snowboarding (local charges apply) or head to the tobogganing slope. Lunch will be provided in Luosto, before it’s time to say a fond farewell to Lapland. There will be an opportunity to purchase a momento of your visit to Lapland en-route to Rovaniemi Airport.